Well fancy meeting you here! I'm sure you've been wondering where I've been for the past week - MOVING that's where. Yep, we moved into our own place over the weekend and I am currently in the throws of unpacking. It is quite the glamorous life I'm leading right now, which explains why I haven't updated you at all this week. I was doing it to keep your green eyed monster at bay, trust me you would have been so jealous of all of the outfits I wore this week. So without further ado, here are some awesome moments from my week. 1.) 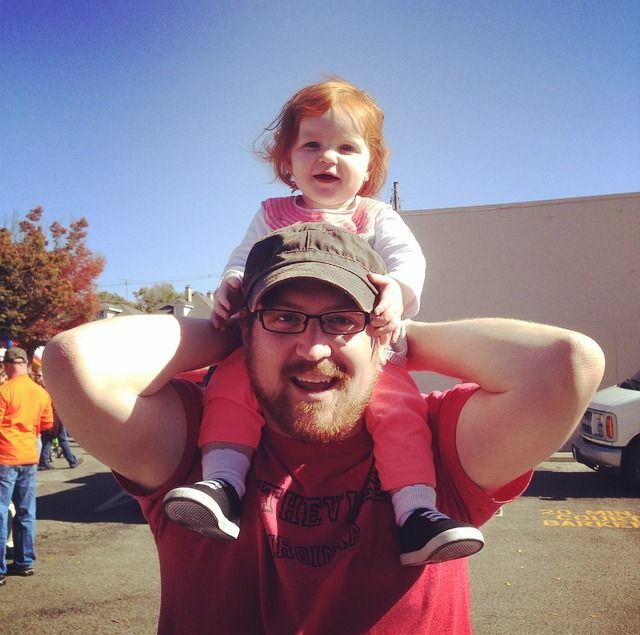 We went to a pumpkin/Halloween festival with my friend Suzanne and I snapped this fun pic of my two favorite people. I love Tolar's relationship with Baby K, they have such a good time together. 2.) While unpacking, I found this gem and couldn't just keep it to myself. 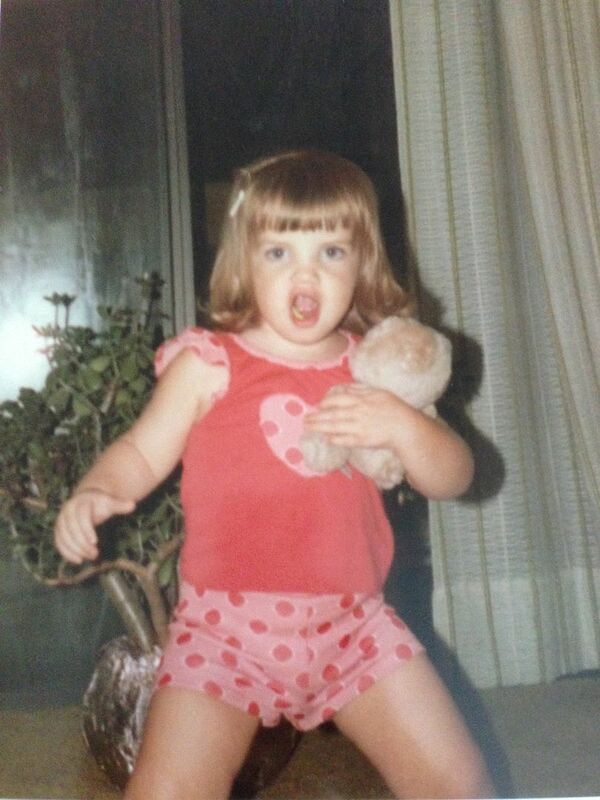 Some things never change, I often have this same face in photos taken nowadays. Also, note the gum. 3.) We moved! Yep, that made for a pretty awesome moment. 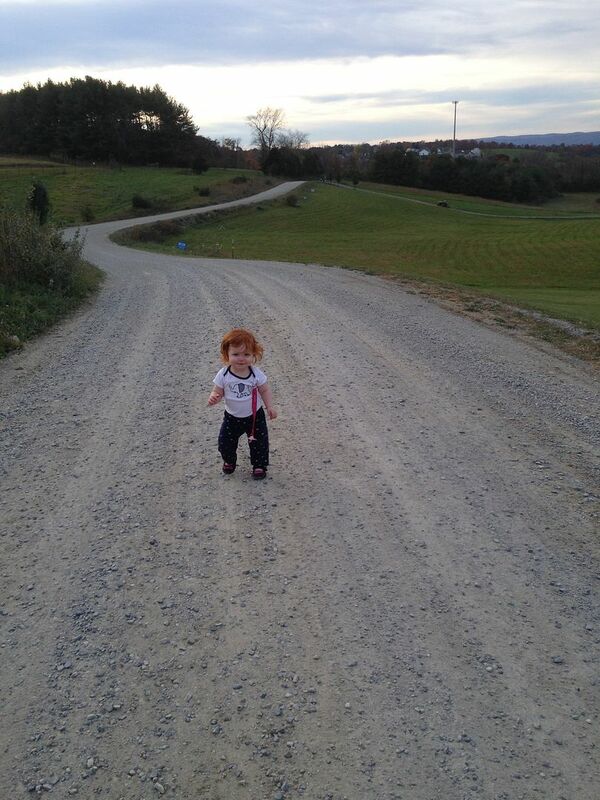 And while I don't have any photos of our house just yet (picture a disaster area with a ton of boxes), I do have this really cute photo of Baby K walking along the dirt road to Grammaroo's house. 4.) We carved pumpkins with Baby K for the first time (last year she was too little and we carved them while she slept) and she had a blast. 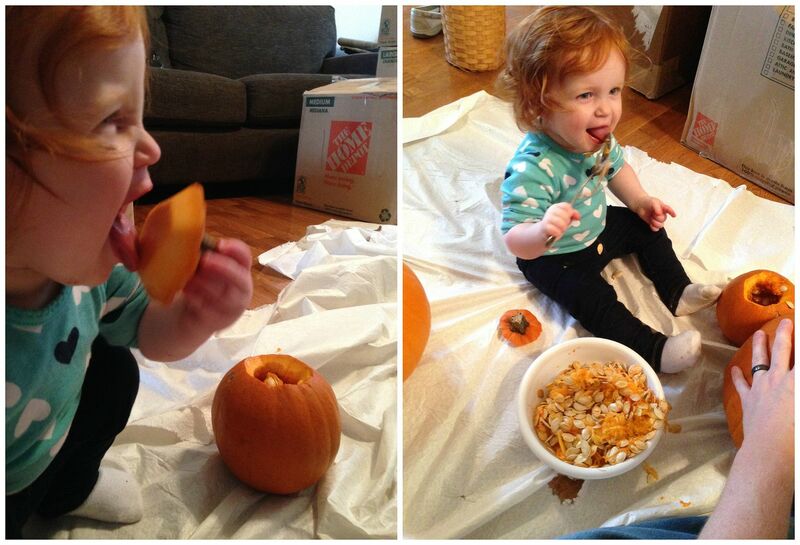 Although she was much more interested in eating everything (gross) than actually doing any carving. 5.) And here are the finished pumpkins. Now go enjoy your Halloween and eat a ton of candy. I love baby K she's such a free spirited little one, and her smile lights up the world! Have fun settling in your new home. 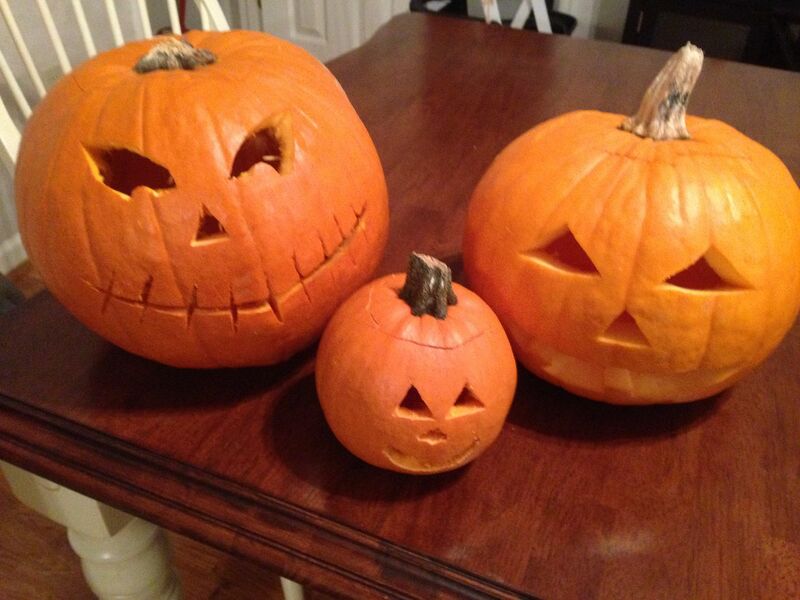 You pumpkins turned out great.